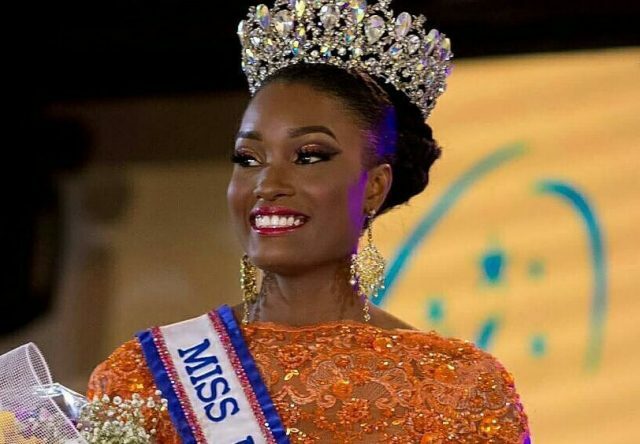 Davina Bennett is the 2017 Miss Universe Jamaica. The 21-year-old was crowned by Miss Universe Jamaica 2016 Isabel Dalley at the Jamaica Pegasus hotel on Saturday, August 26, at the grand coronation held at the Jamaica Pegasus hotel in Kingston. Janae Jackson again, like she did it 2012, had to settle for the first runner-up spot. Sara-Jade Kow was named the second runner-up. The Clarendon native will be sharpening her skills for the international stage. The 66th Edition of the Miss Universe Pageant will take place some day in December 2017. The exact date and venue are yet to be announced. Davina Bennett Miss Universe Jamaica 2017 swimsuit photo shoot. Davina Bennett donning a piece from Uzuriinternational during the JCDC Fashion Flair 2017 on August 5.